Light + Love : Invites and Handwriting. Over the weekend, I have been busy preparing invites for my sister's wedding. I was supposed to handwrite the names of guests on the envelope, but I realized, after I finished 35 envelopes that my handwriting has become ugly. 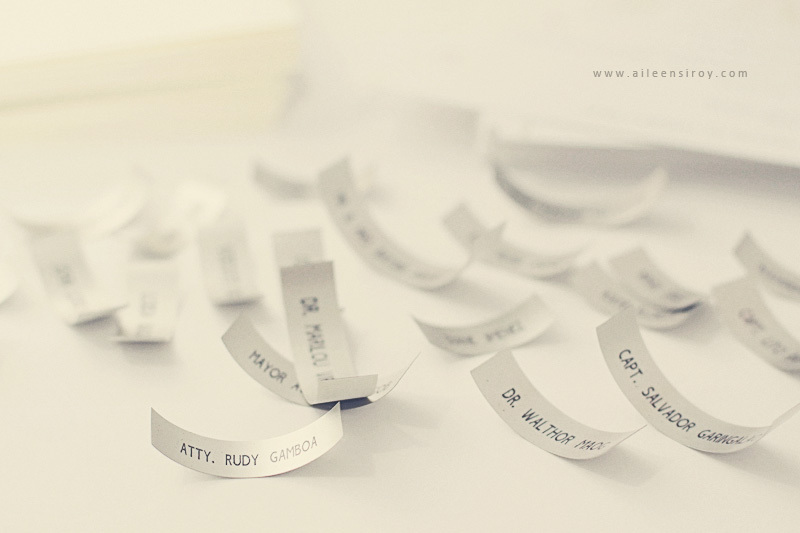 So I decided to redo everything and print the names on gray-silver stickers. I used to have really nice penmanship. I was the girl who was always asked by teachers to write the lessons on the board. I did that since 4th grade to senior high. I was the girl whose theme papers were always set as the standard in class. And then computers and laptops came. And then I stopped using the pen. I typed. And typed. And typed. I type 80% of the time and the remaining 20% where I write in my journal and calendar isn't enough to maintain my once pretty handwriting. Oh well. Things change. And the bigger change we are looking forward to is my sister's marriage to this wonderful man she met here in Manila. I wish them both happiness, health, and God's blessings! Hmm, I´m sure Ate Ai, your penmanship is still very nice. But I can totally relate with what you mean. I experienced the same. I seldom use the pen now and after just few minutes of writing, I can already feel the pain in my hand. An obvious sign that the hand is no longer used to writing. And the sadder thing about it is that, the ugly penmanship is now uglier. arggggggggg. you have one of the nicest handwritings, A. i know, because i love seeing and reading your handwritten notes to me =) keep writing. someday, writing by hand will become a lost art. sad, but don't we all find ourselves typing on electronic gadgets more and more nowadays? your handwriting is beautiful. period. no arguments there.